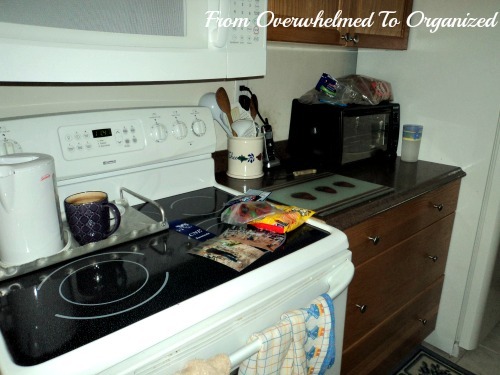 Do you get overwhelmed at times when things get busy and you can't keep up? You're in a hurry in the morning so dishes are left in the sink. You rush home and drop what's in your arms at the door. Things pile up to deal with "later". 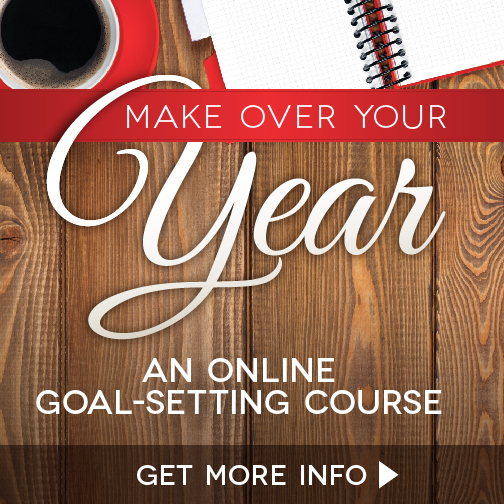 Usually you you can stay on top of things, but there are those periods when it's hard to keep up. Life happens to all of us. 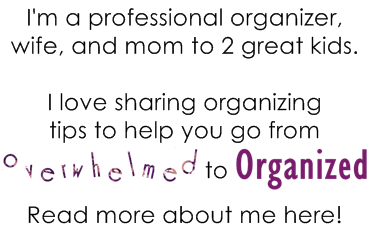 Including professional organizers. 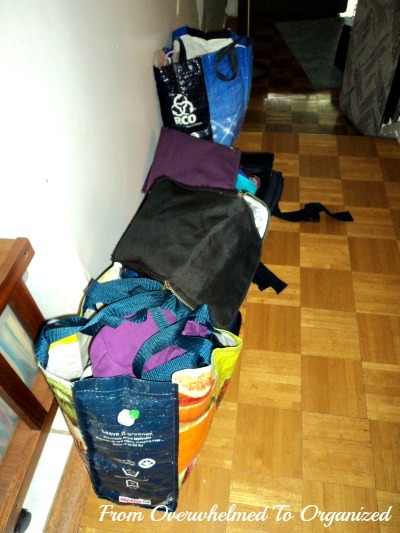 I've mentioned several times this summer that I have a few clients that I'm doing a lot of work for, including one who had to declutter and organize her whole home to prepare to sell it. I love my job but I've been working so much this summer that I'm not keeping up at my home. 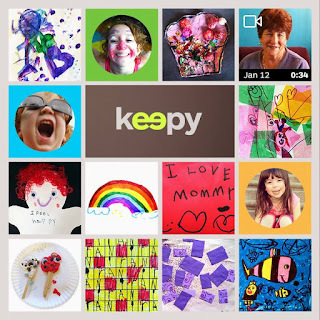 I've been rushing out the door in the morning to drop my kids of at day camps or grandparents' homes, working long days, picking the kids up, quickly getting dinner ready, and then racing out to baseball practices or games or other activities most evenings. By the time we're all home and the kids are in bed, I'm pooped out and need to recharge before doing it all over again. 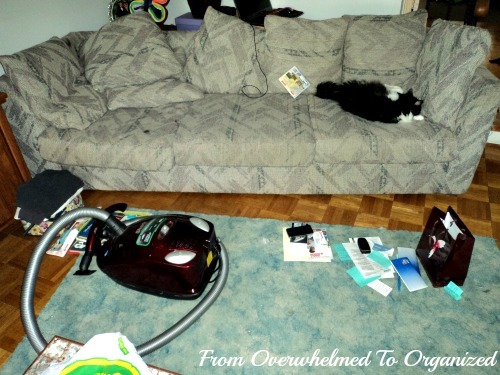 One of the drawbacks of helping others declutter and organize their homes is that I end up being too tired sometimes to deal with our home. I'm not always as busy as I've been lately, but now that I've got a few weeks without clients, I need to take back my house! I looked around my house this morning and this is what I saw. 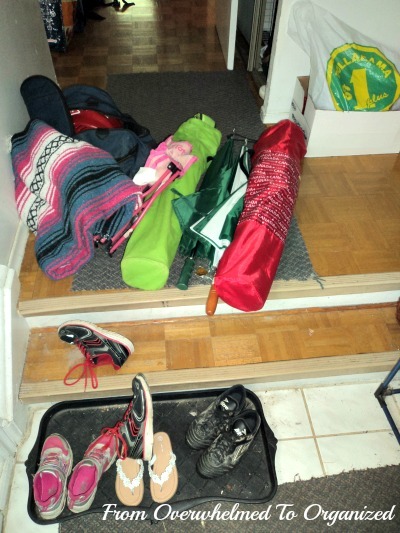 Our front entry was filled with baseball equipment, lawnchairs, blankets, and umbrellas that we use for baseball nights (unloaded quickly from one vehicle to load into another one today), a box and bag full of stuff I brought in after work last week, and multiple pairs of shoes (even though the general rule is only 1 pair out per child). A little further down the hall were bags full of stuff from our day trip yesterday to the CNE (Canadian National Exhibition - an annual late-summer tradition around here), as well as cooler bags, fanny packs, and backpacks we either used or set out to use but didn't (and then didn't put back before leaving yesterday). This part of our command centre is overflowing with school papers that we still haven't sorted through from last year, as well as bags and gear leftover from the last daycamp they attended. Our kitchen table is cluttered with mail from last week and more CNE stuff we dumped there last night when we got home and were too tired to deal with it. One side of my kitchen had more remnants from our day yesterday. Snacks we brought or purchased are on the stove and on top of the toaster oven, my beverage station is on the stove instead of on the other side of the kitchen where it belongs (you'll see why in the next picture), and there are some dirty dishes and counters that need to be taken care of. This side of the kitchen is even worse. 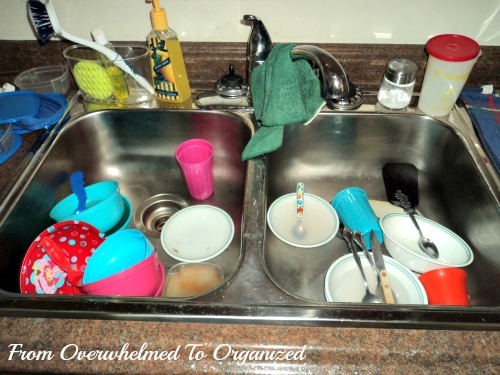 There are dirty dishes accumulating on the left side of the sink and clean dishes and towels waiting to be put away from the last time we hand washed dishes. Here's a close-up of the sink. 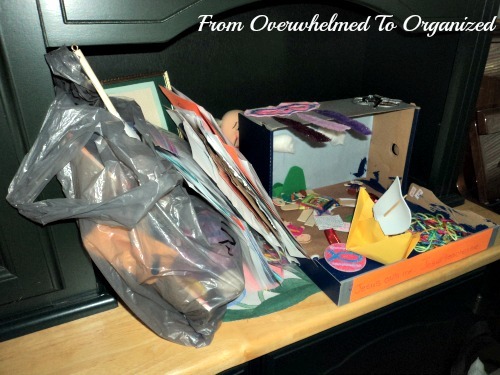 My dining room hutch has a pile of crafts and papers that my kids brought home from day camps this summer. 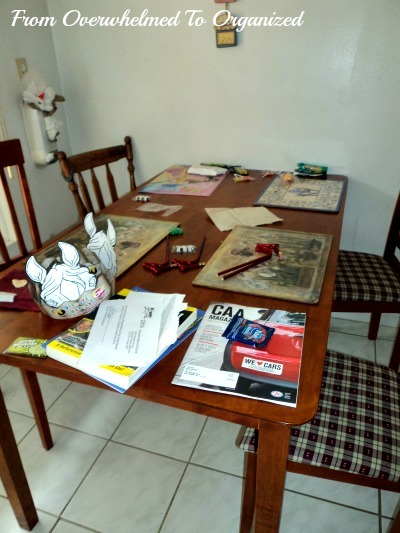 They've accumulated all in this one place in an attempt to keep the entry, hallway, and kitchen table clear, but they need to be dealt with. Our living room table is covered in random papers, shopping bags, books, cat supplies, and remotes and pens (made homeless because I took their usual basket to show a client last week and didn't put it back afterwards). And that's just the main floor! But it's where we spend most of our time, so it gets the most cluttered and bugs me the most when it gets this way. Today we've been in total relax mode, after an exhausting (but wonderful!) day yesterday and a slew of tiring weeks. But I've started chipping away at a few of these cluttered and messy areas and I'll be taking control of the rest of them over the next few days. It actually won't take me long to finish most of this, because even though it's been a really busy summer, I've tried to deal with the worst of things most of the time. I'll share my after pictures in another post and share some tips to help you get things back under control when life gets the best of you too. Just wanted to keep it real and let you know that my house is not perfect and that even professional organizers (or this one anyway!) 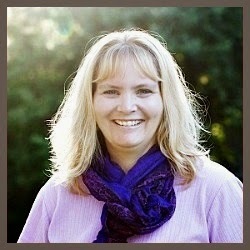 have times when life gets extra busy and they can't stay as organized as they'd like. 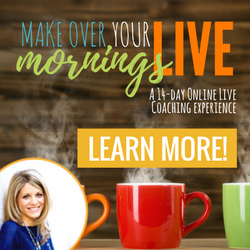 How do you take back control of your home after a busy time in life? 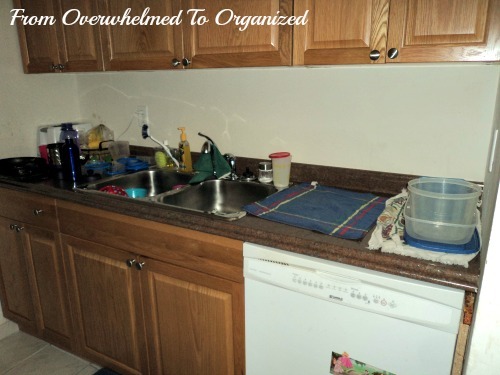 How out-of-control do you let your house get before you can't take it anymore? 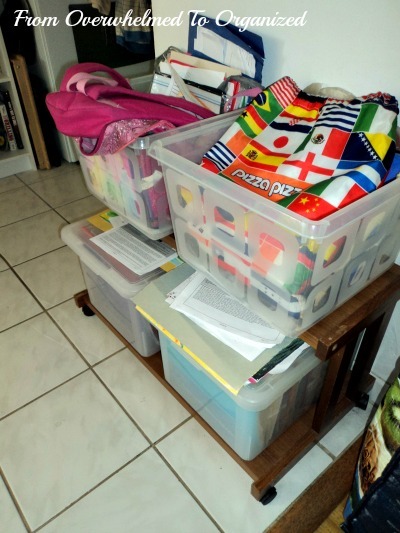 What systems have you put in place to help keep your home clutter free during crazy periods? I love that you shared this. 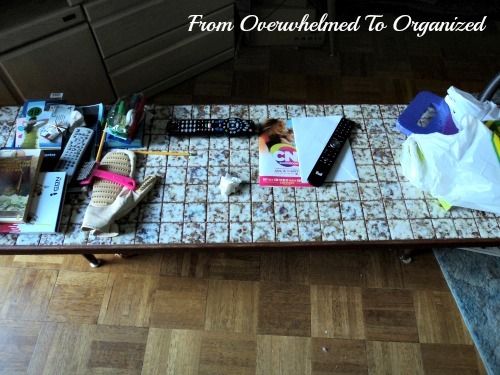 Organized doesn't mean never tidying again. On the contrary, it means tidying as you go. 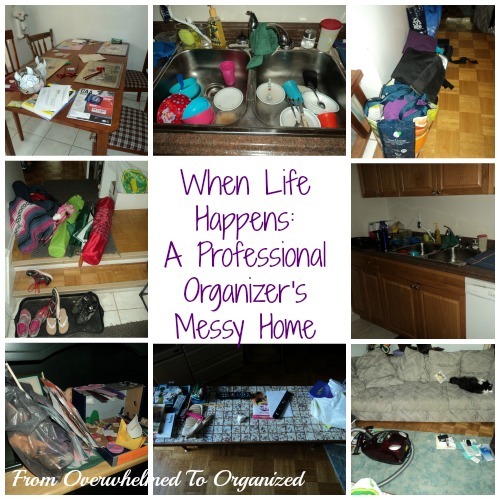 Thanks for sharing the real life of a pro organizer!